they used to have the salt-free hummus, but took that out. I'm surprised not many company provides this option. Do you like the traditional or the flavored hummus? I think it's even better to get a side order of hummus from a restaurant. Just make your own it takes ten minutes or less. Grind up the chick peas in the blender and add two to three spoons of Tahini and some lemon, garlic and salt to taste. Done! Hummos! Very SOON thge very best tasting Hummus will be available in the New York / New Jersey / Philadelphia / Boston areas. It's called Fountain of Health - is all natural / with none of those awful preservatives that Sabra and the other destroy their Hummus with. Fountain of Health Hummus - the WORLD'S BEST Hummus - by far !!!! Sabra hummus lol ! They are now owned by Pepsi and being massed produced on a conveyor belt treated like any other product. The very best hummus right now going is Fountain of Health Hummus. It has NO PRESERVATIVES, and the flavor and texture of the product is simply incomparable. For anyone looking for this hummus, try Fairway Market, Dean & Deluca, Best Yet...etc You will not look back to Sabra after you tasted Fountain of Health. Aboslute best Hummus in the world , i was a sabra customer for 8 years and have now discovered Humm from Fountain of Health , it has no preservatives and taste like if its home made. Its nice to get the texture back in hummus. the best is the roasted red pepper one. i tried it at a fairway store as it was being sampled and i now buy it at Food Emporium. Where can I get Fountain of Health hummus in NY or NJ? All we get is Sabras around my way :( ..I will search for Fountain of Health, because the buzz going around is that Fountain of Health is now the heavy hitter when it comes to Hummus. I will look for this hummus, and see what everyone is talking about. FOUNTAIN OF HEALTH---- IT'S FREGGIN' DELICIOUS! lol I'm shocked! I see others have caught on to Fountain of Health Hummus. If anyone else who is a Sabra fan reads this; do yourselves a favor and try this brand. 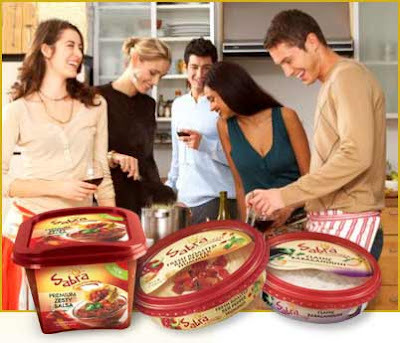 My family, and I were Sabra lovers till we had Fountain of Health. We finally realized we were being fooled to what real hummus taste like. We no longer buy Sabra, and only have Fountain of Health. I read the ingredients, and compared; finally realized just how loaded in preservatives Sabra is. We now only eat Fountain of Health, and will never go back. This is the best hummus we have ever had by far. See for yourselves. I recently had Fountain of Health Hummus at Wholefoods in Washington DC. My God! What's was I thinking? No one matches the flavor. I like their Caramelized Onion Hummus the best. I, too, had fountain of health in DC, but I live in NC. Anyone know where I can find it near Charlotte? Fountain of Health Hummus is pretty good, but BY FAR the best hummus sold at Whole Foods in DC and Maryland is Cava Mezze. If you haven't tried this brand yet, you are missing out. Every flavor is amazing including the Spicy and Traditional Hummus, but my two favorites are Kalamata and roasted red pepper. To find Fountain of Health in NC or other states you can email the company: www.fontainesante.com or ask your local health foodstore to carry it. Thanks so much anonymous for the information!